Stop in and check out our Product of the Month! 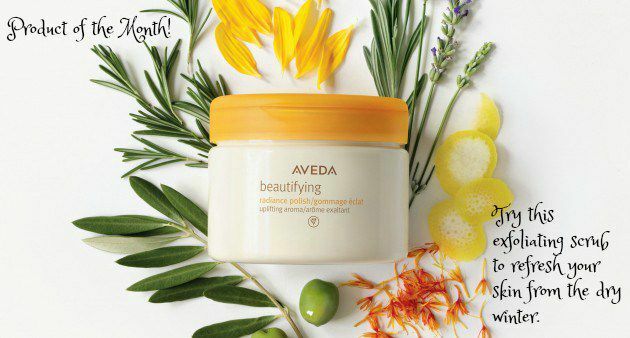 Aveda’s beautifying radiance polish gently exfoliates, while adding moisture to your skin with a nourishing blend of certified organic sunflower, safflower and olive oils! Certified organic rosemary, lavender, bergamot and other pure flower and plant essences create a beautiful, uplifting aroma.